Perching heaven, another 3lber and 7 over 2lb. In my last blog post I said that I had messed up big time on one of the fisheries last week fishing for perch. So I need to get back and prove where I think I went wrong. As I have said perch fishing has been a steep learning curve for me. My thanks must go to Andy and Archie for both helping me out this year. I only hope that next year I can repay them both with some good chub fishing on the H.Avon or the D.Stour. The weather has been very cold with a bitter east wind for the last week. Luckily for us in the southwest the snow had not fallen. The wind and the chill factor was the same. I’m not too worried about the cold as once you are dressed for the cold you should stay warm. I suppose I take for granted what new materials are available to keep you warm these days. I can remember having 3 of about everything on including socks to keep warm. Now it does include layers of clothes but the type and moisture wicking properties really does the job. I remember the old wax cotton jacket were the order of the day, and boy oh boy did those was cotton jackets go stiff in the cool weather. Getting back to the story, I arrived on the fishery at 10.30am not wanting (lazy) to arrive at 5.30am when it gets light. 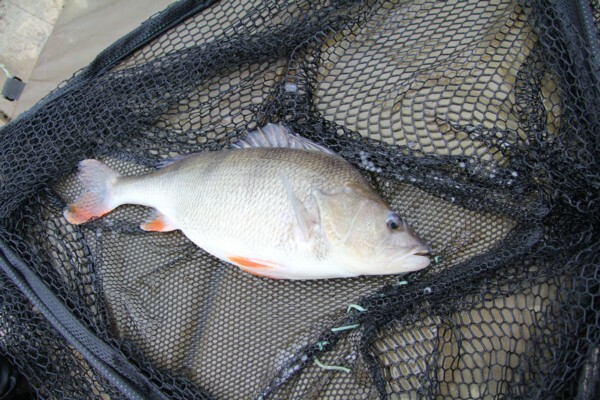 I wanted to fish the afternoon and evening when the perch would feed. 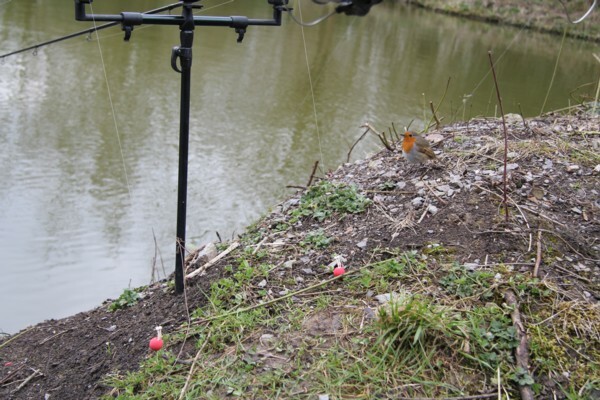 The rods were Fox duo Specialist 0.5lb t/c with 6lb Drennan Supplex main line. The terminal tackle consisted of 1/3oz running lead, 4lbs 12oz reflo power line hooklink, size 8 hook baited with a jumbo prawn. 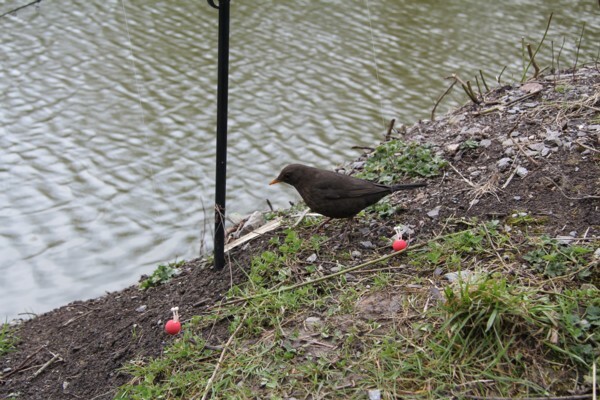 The method was spraying maggots at regular intervals to the baited area, together with a few small pieces of prawns. 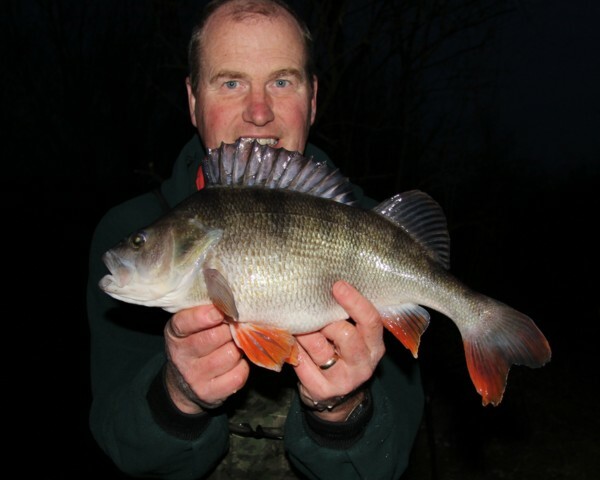 So almost immediately I had a take which resulted in a 2lb 1oz perch, so a great start to the session. 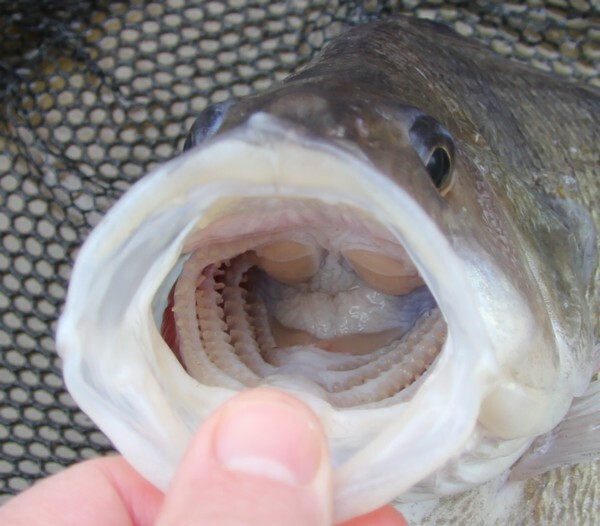 It wasn’t long before I had a second perch in the net of 2lbs 2oz.I kept on feeding each time I caught a perch.Things went very quite for a few hours which is pretty normal. Then as I continued to fish and bait. All I can say is that sport continued to improve as time went on. Perch after perch kept coming along, together with a common carp that was really taken with my jumbo prawn. I had a couple of bobbin minders that kept an eye on things for me. The final fish of the day was the largest at 3lbs not an oz larger or smaller. All the perch were full with spawn and when we get some warm weather they will be spawning and so that will be it until the end of the year. So the final count was 10 perch, 2 x 1lb 14oz, 2lbs, 2lbs 1oz, 2lbs 2oz, 2lbs 8oz, 2 x 2lbs 10oz, 2lbs 12oz, and 3lbs. What a great catch, and a lake to look forward to for the next couple of years. This entry was posted on Wednesday, March 27th, 2013 at 8:53 pm	and is filed under Uncategorized. You can follow any responses to this entry through the RSS 2.0 feed. Both comments and pings are currently closed.